Home Features Esports Smash Tour: 2GGC Arms Saga, Genesis: RED, and more! For the weeks when there's just too much Smash, I'm here for you. Let's break it down. The busiest and most bustling weekend this summer yet kicks off July as the Summer of Smash builds up momentum; this is the last chance for contenders to prove themselves for Evo next week. We got Nationals for Smash for Wii U and Melee, a Regional for PM, and two more Regionals for Melee. Let’s get right into it. Who: ZeRo, Dabuz, Larry Lurr, VoiD, Abadango, more! 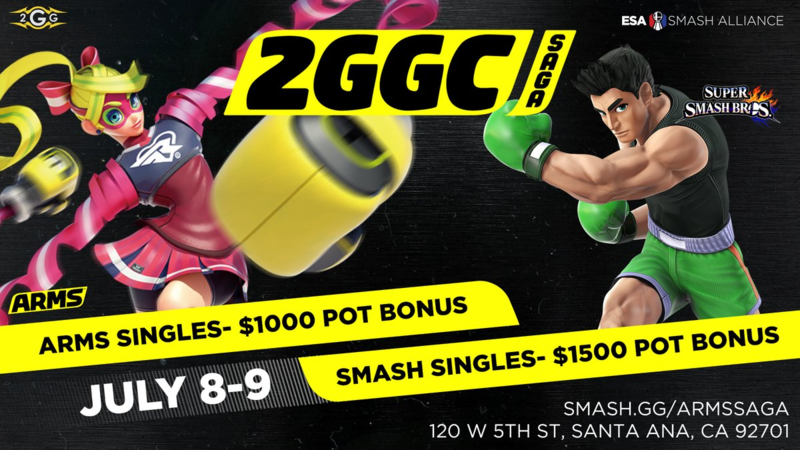 Why: The July Saga for 2GG’s Championship Series, the last greatest Smash for Wii U event prior to Evo 2017, and of course, 2GG’s first large-scale ARMS TOURNEY. That’s right. This weekend only, see Smash for Wii U’s top stars duke it out in ARMS for the Nintendo Switch. With the game having come out less than a month ago, this is the first true, greatest test to see how the game holds up when put under true scrutiny by some of Nintendo’s best brawlers. That alone is hype; though the regular tournament should be as well. Who: Leffen, SFAT, Westballz, Shroomed, Ice, PewPewU, more! 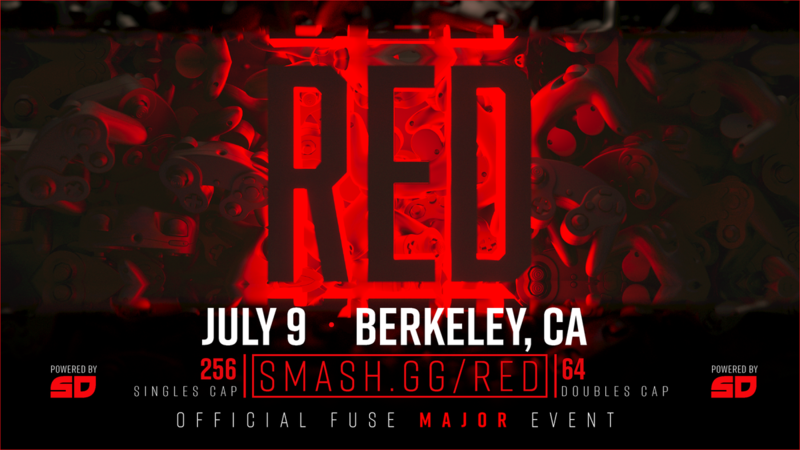 Why: With Genesis launching their FUSE Doubles circuit, a collaboration between event organizers internationally to promote Doubles play which will culminate at Evo, this is the last chance for players to wrack up some points prior to the main event next week. This surprise announcement of an event gave little time for players to prepare, but that didn’t stop the world’s best from flying in and showing up. You’re not going to want to miss it. 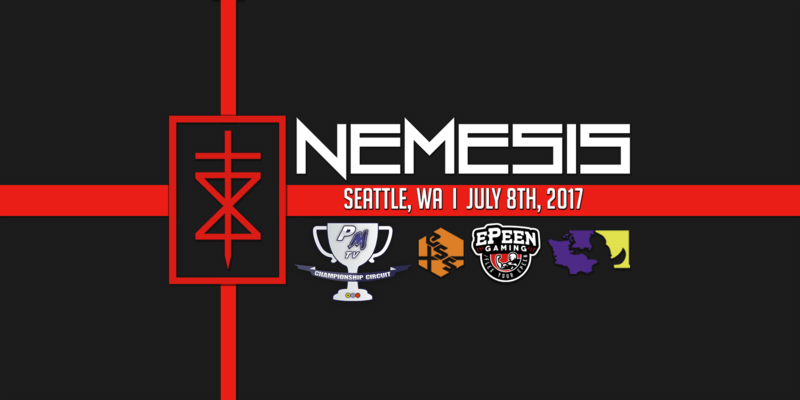 Why: The next installment of the Project M Championship Circuit is run by longtime PNW Smash supporters ePeen Gaming. Boasting a large and robust PM roster, as well as a highlight of regional Melee play, Nemesis is where your eyes want to be for the highest quality PM gameplay this side of The Bigger Balc. Why: Due to the late announcement of GENESIS: RED, many players already had flights booked in for other events and weren’t able to go there instead. This is where Function and Super Rubicon 1 come in. Function is the new highlight of the Southeast, and a testament to RecursionGG’s tournament organization and broadcast skill. Why: Same deal; but this time in Illinois. Rubicon was one of the most legendary tournament series the Midwest had to offer, and this time it’s back and leveled up, kicking things off with many good names in attendance, a larger venue, and all sorts of fancy jazz. With all the top players in attendance so close together in skill level, this one could be anyone’s game to take the W.
Smash Tour: June 30-2 ~ Bad Moon Rising 2, Albion 2, and more!